Even before it was cool, DesignLoud was one of the first to provide responsive website development locally. Why do you need a responsive website you might ask? Your traditional fixed width website is quickly becoming obsolete. Think about how often you see people browsing the web from their mobile devices and tablets. With the web literally at our fingertips everywhere we go, companies are making it easier and easier for us to get the information we need instantly. Most non-responsive websites do not scale to fit the user’s device; therefore, you are asking the user to scroll horizontally and vertically just to read about your company. Why would you want a bad user experience when your website is viewed on a mobile or tablet device? Statistics show if your website design or appeal does not reach users in the first 3 – 8 seconds they will click away from your website and you could lose them forever. Need the freedom to manage your own website? Our website developers don’t just know WordPress, they love it! DesignLoud has been developing custom themes and plugins for our clients and other website design companies for half a decade. WordPress is one of the most commonly used Content Management System (CMS) to date. WordPress was originally developed to be a blogging platform but since it’s inception has grown to be so much more than that and now is the framework behind most Fortune 500 websites like Pepsi, General Electric and UPS to name a few. With a WordPress website, you can easily manage your pages, images and website design in one place! We have worked with clients from small businesses to big corporations to design and develop their WordPress website so they can easily control their own website. What separates us from other web development companies? 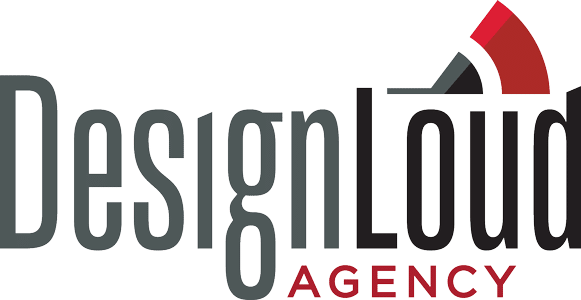 Wilmington NC has multiple web design companies, so why should you choose DesignLoud? That’s easy! From creating a website to digital marketing, DesignLoud is the top choice in Wilmington NC for any business. No one else will give you the best competitive offer while spending time with you to find out exactly what you need. The purpose of DesignLoud is to use our knowledge in web development to create your vision and ensure you’re happy with the outcome. Web development is so much more than compatible colors and an easy-to-read font. There are many small details that go into choosing the right website for your company and DesignLoud takes the time to find out exactly what you need. Whether you’re looking for a simple, personal profile or a money-making E-commerce website with a shopping cart and sales tracking, DesignLoud has you covered. Web development doesn’t have to be stressful! When you trust your web development to anyone in Wilmington NC, make sure it’s DesignLoud so you know you’re leaving with the best.